You won't believe how comfortable these pants feel! After having your measurements taken, you will learn how to draft a pattern that fits ONLY you, sew the pants together, and alter any "arrears" that need fixing. 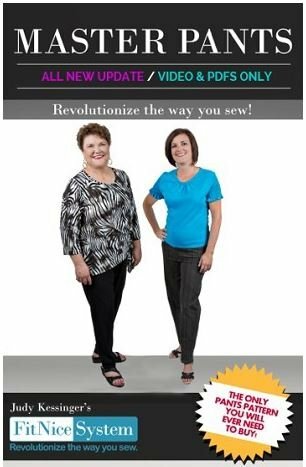 After completing this class, you will be ready to sew up a wardrobe of pants, capris and shorts - all from the same perfect fit pattern! Receive a $20 Paradise Gift Card for registering for both Pants and Top classes! Requirements: $35 Kit Fee Payable to Judy at class.